House Of Metal Festival 2017 will take place in Umeå, Sweden on March 03-04, 2017. 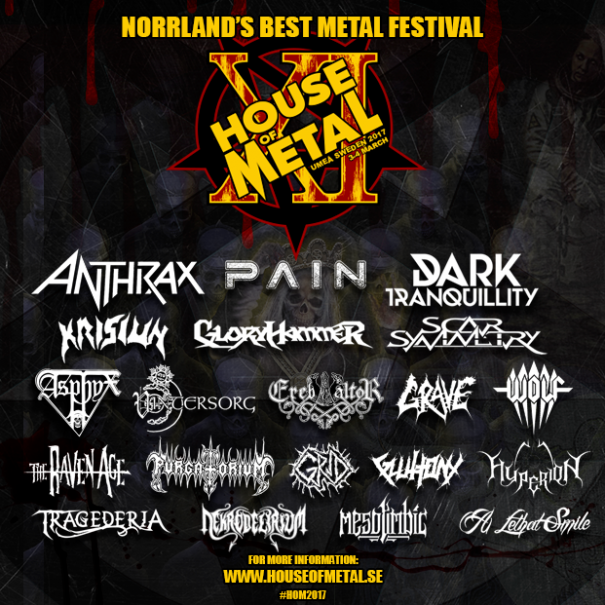 Anthrax, Grave and Dark Tranquillity are among the bands that will perform at House Of Metal Festival 2017 festival. Close-Up Båten Cruise 2016 will take place in Stockholm, Silja Galaxy, Germany on October 27-28, 2016. 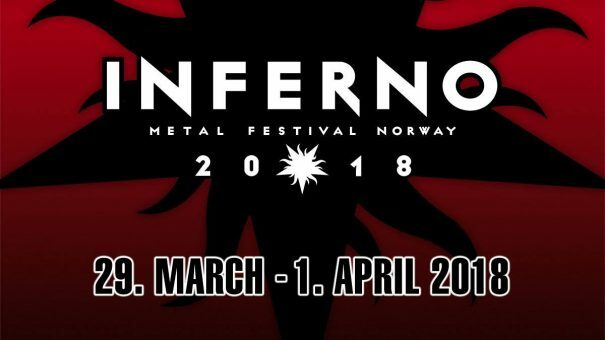 Entombed, Unleashed and Grave are among the bands that will perform at Close-Up Båten 2016 Cruise. 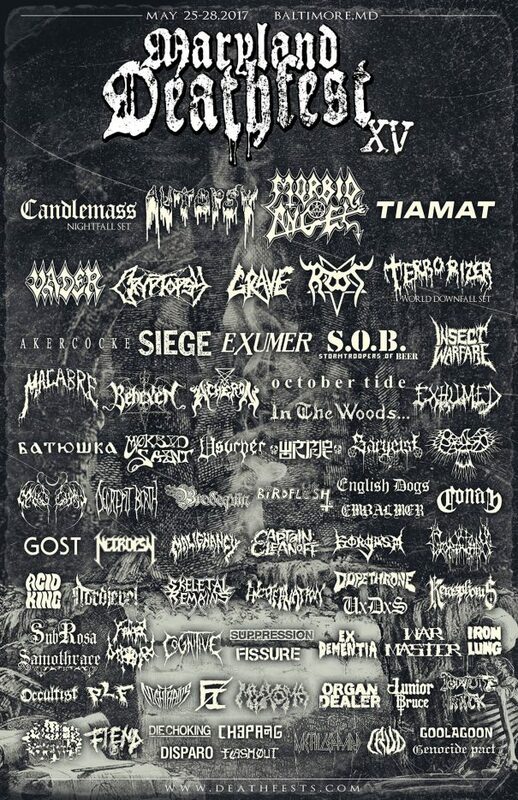 Witchfest Festival Open Air 2015 will take place in Klein Koperaal, South Africa on April 2-6, 2015. Cannibal Corpse, Kataklysm and Epica are among the bands that will perform at the Witchfest Festival Open Air 2015. Kaltenbach Open Air will take place in Kaltenbachstraße 14, 8684 Spital am Semmering, Austria on August 21-23, 2014. 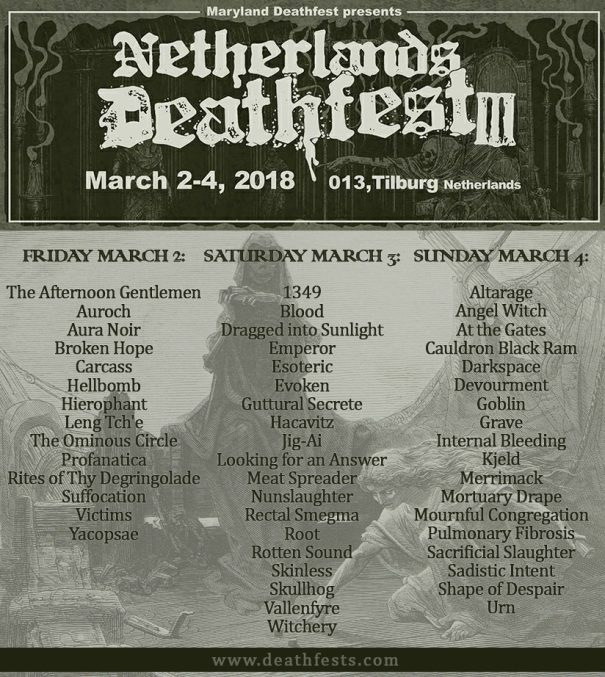 Sodom, Aborted and Malevolent Creation are among the bands that will perform at the Kaltenbach Open Air 2014 festival.